Children's world is a fun world. A unique cupcake is one form of entertainment for them. Carrot and butter cream will perfectly be the alternate decorations to increase the children and family's cheerfulness. First, whisk margarine, icing sugar, and palm sugar well until they are getting smooth. Then, add the egg slowly with keeping whisk them together. Then, add the flour and all dry ingredients that have been sieved before. Mix them well with the ingredients in the first step. After that, you can add the grated carrot. last, add the lemon juice and mix and knead them well. Put the dough into the molds that have been covered by paper cups. 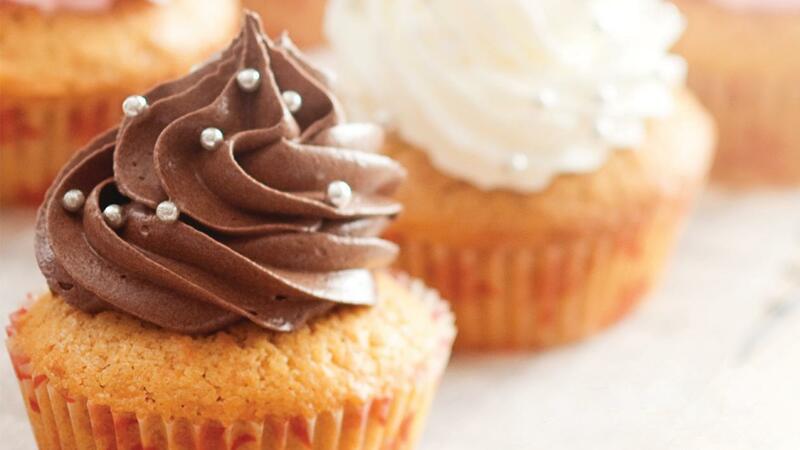 Bake the cupcakes in 180⁰C until they are well done. Leave the cupcakes until the temperature is getting lower. Finally, you can decorate them with the butter cream.